What Do Animals Do During a Rainstorm? It’s been a stormy summer. There have been more lightning and rainstorms than I ever remember during a Northern Virginia summer. What do our friendly park residents do during these storms? Some, like Canada geese, don’t mind rain, while others do mind and have developed ways of protecting themselves during storms. You may remember our January 2016 blog, “Where Will Animals Go During the Snow Storm?,” where you learned how wildlife survive a heavy winter snow. I was curious how animals deal with summer thunderstorms, so I asked Kristen Sinclair, a Park Authority ecologist, about their habits and preferences with regards to rainy weather. Here are some common members of Fairfax County’s wildlife community and their rain tolerance. Deer: Deer go about their business in light rain. They still need to eat and drink, so they pretty much do what they usually do. Some deer hunters say that a light rain is the best time to hunt. In heavy rain, deer will seek shelter. Squirrels: Squirrels have either leaf nests in tree branches or, like woodpeckers, in hollow trees. The hollow tree nests provide better protection from rain. Some young squirrels can actually drown in open leaf nests during a spring storm. Adult squirrels use their tails as umbrellas and will venture out in rain. Birds: This woodpecker has made a nest in a tree, so it is safe from storms. Most birds have oil glands which they use to groom themselves, so their oil-coated feathers are essentially waterproof. Water rolls off them, well, exactly like off of a duck’s back. Owls are an exception. Their feathers are not waterproof, so they will usually not hunt in the rain. Beavers: Beavers have oily glands in their skin that help them retain their body temperature, quite helpful since they spend so much time in and near water. The oil makes their fur impervious to water just as feathers do for birds. Fur and feathers are designed to repel water, and beaver fur does just that, so the critters do not mind the rain. However, they do make their homes on the water, so heavy floods have the potential to destroy their lodges. Raccoons, Foxes, Mice, Rabbits, and other small mammals: Mammals that live underground will hide in their dens. They construct dens so they will not flood, which lets wildlife shelter at home during a heavy storm. Some small mammals hide in logs. This is why the Park Authority leaves dead wood on the ground on parkland and why snags (dead trees still rooted in the ground) are left standing. They are important habitats for many animals. Bats: They hate the rain. Bats, like this silver-haired bat, actually have fur and are mammals. They are super light, weighing around five to 10 grams, which is approximately the weight of five to 10 raisins. If they get wet, their body temperature can quickly drop, and water affects their ability to fly. Their young need to stay dry as well. Bats will hide underneath certain trees where the bark provides space and protection. Insects: The ones that fly can’t fly in rain, particularly butterflies and moths. The best weather for butterflies, like this Great Spangled Fritillary, is hot and sunny. Insects hide under tree leaves to keep dry, using leaves the way humans use umbrellas. Fish: Since they live exclusively in water, they are not really affected by rain, although they may relocate because of a change from sunny to cloudy skies. Fish sometimes become active and feed before a storm arrives, perhaps due to atmospheric pressure changes, but any young bluegill or bass that mistakes raindrops on the surface for food learns quickly. Salamanders and Frogs: Amphibians love the rain! Since their skin is sensitive to moisture, wet weather is perfect for them. Remember that amphibians spend time both in and out of water. Salamanders, like this spotted one, migrate and breed in the rain, using small pools created in the forest by storms. Snakes: Some snakes are adapted to water, like water snakes and water moccasins, but the ones that do not usually spend their time in water would probably avoid it as much as possible. Water would not necessarily help their scales, and in desert climate areas some species have been known to take shelter during rain in man-made structures, including peoples’ houses. In the event of a severe storm, like a hurricane, everything takes cover. Author Lauren Rhodes is a student at Oberlin College in Ohio and a summer intern for the Resource Management Division of the Fairfax County Park Authority. 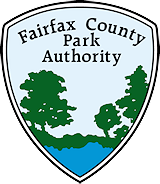 This entry was posted in Uncategorized on August 15, 2016 by Fairfax County Park Authority.